VDJ Scorpion takes you to a breathtaking nightlife experience where you can not only hear the music and feel the groove of your favorite urban music tunes, but also enjoy today’s (as well as tomorrow’s and yesterday’s) top music videos, all while getting it on in the middle of the dancefloor or having a drink with your friends at the bar instead of having to watch TV at home. 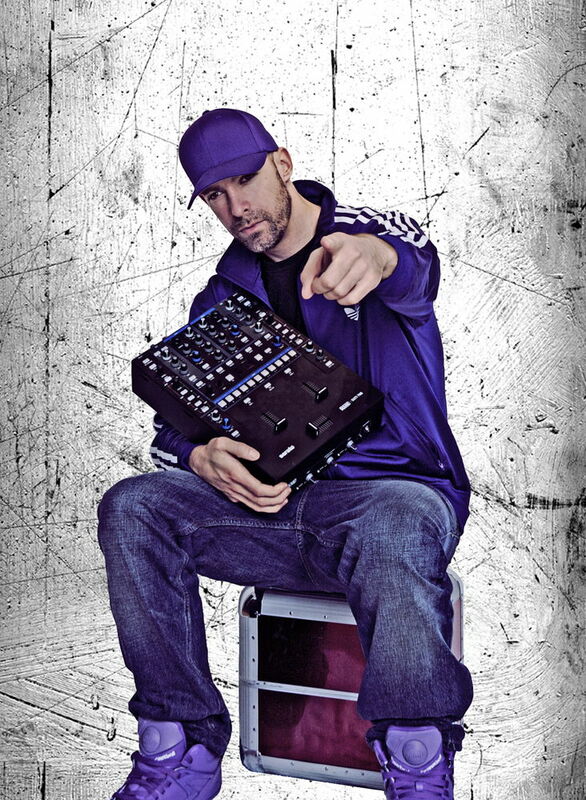 Using a customized state of the art video-dj-software, the 14 year veteran behind the turntables spins music videos, comedy skits, short movie parts & his own video edits like actual songs on vinyl records by mixing, blending & scratching not only the audio part, but also the visual side of the video simultaneously in real-time. Although VDJ Scorpion’s main focus is still always on the audio side of the VDJ set in order to make sure the crowd goes wild, it’s the combination of audible and visual presentation that truly transports the emotions of the party crowd alongside a 100% urban music vibe creating a party atmosphere you won’t forget. “Your favorite DJ’s favorite Video-DJ” has proven that point for years now playing in renowned nightclubs from Zürich and Basel to Freiburg and Stuttgart, as well as at the world’s biggest music and entertainment trade shows in Frankfurt and Paris. As the first official German member of the global entertainment network “International Party Rockers” and being part of the first worldwide Video-DJ Booking agency “VideoDJBooking.com” his focus is now on new goals. The revolution WILL be televised.